Electronics engineers and technicians all over the world know A P Products. Some know us as the inventor of a unique and invaluable testing tool. In 1967, our first patented product, the integrated circuit Test Clip, added a whole new dimension in convenience for the engineer and technician in testing IC's. Some know us as the originator of the modern solderless breadboard. Our breadboard, first introduced in 1968, make circuit building with integrated circuits a snap. Some know us as innovators who are constantly improving our existing products and designing new ones to meet the new needs of todays engineers and technicians. Our line of products is constantly growing. Some know us as a company where quality comes first. In an industry that has become highly price competative, we are a company that will make no compromises in quality. Some know us for our reputation for service. Complete customer satisfaction is our number-one goal. The best way to know us is by the simple slogan we've used over the years to describe our products and our company: "Faster and Easier". All of our internal systems have been designed to make it simple for you to locate and purchase our products. All of our products have been designed to save you time and energy. We want to help make it faster ans easier for you to do a quality job. 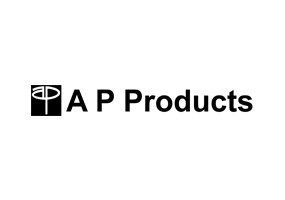 A P Products GmbH has evolved from its 1967 beginning (as A P Products, Inc.) to become a preferred manufacturer of proprietary, high performance Electronic Interconnect Products - products that provide cost-effective solutions to the electronic and mechanical challenges posed by ever-increasing signal frequencies and ever decreasing package sizes. We offer a full line of standard interconnect products for applications requiring critical control of electrical parameters. A P Products has also earned a reputation for its responsiveness and creativity in solving unusual interconnect problems, where off-the-shelf solutions are not available or would require compromises in performance or packaging specifications. We have the talents, tools and technologies under our direct control to understand your problem, create a cost-effective solution, and manufacture the resulting products. Initially known as A P Incorporated, and steadily growing for nearly 20 years, Associated Enterprises took products to market through ist subsidiary companies known as A P Products, APTronics, Chabin, Symbex, 4C and A P Products GmbH. Within this structure, subsidiary companies performed the assembly and sales functions, while research and development, financial and data processing services were centralized and provided by A E. Component level manufacturing was performed by a Division of Associated Enterprises, known as Omnitec. In 1986 the President of A P Products GmbH bought the GmbH shares from Associated Enterprises and became the sole owner of A P Products GmbH. Even though A P Products GmbH is a seperate company now both companies, Associated Enterprises as well as A P Products GmbH, have a close relationship to each other. Cooperation on projects and resource-sharing is most common. A P Products GmbH policy is to sell mostly indirect through local distibutors. Additional offices in Saffron Walden, near Cambridge in Great Britain and in Milano, Italy help to organize the market. Our over 650 m² stock and production facilities ensure a short delivery time and products made to customer specification. A P Products GmbH has built a strong reputation in the market for it’s developements to solve customers problems in interconnecting needs. We are a group dedicated to excellence, flexibility and responsiveness; providing our customers with on-time delivery of competitive standard products as well as innovative, high-quality and cost-effective solutions to unique interconnection problems. In summer 2005 A P Products GmbH took over the production of former competitor Pin Connector, strengthening the header production line.